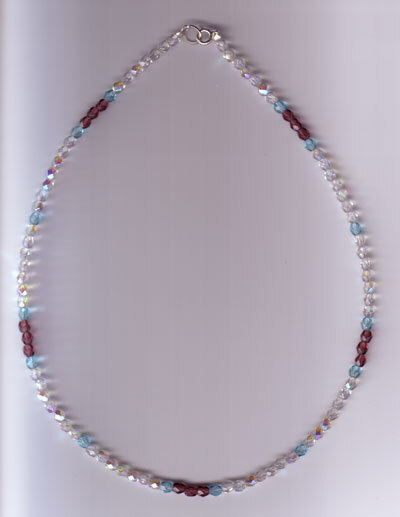 This necklace consists of purple, light blue, and clear fire-polished glass beads. 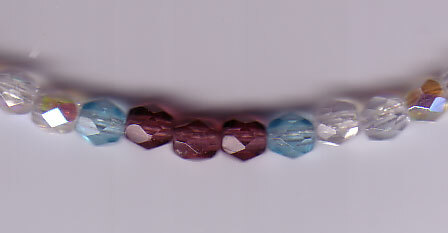 The finishing on the beads ensure the necklace is catching light at any angle. It's dressy enough for a big event but small enough to be worn everyday.